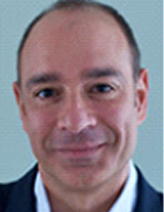 Dr. Fayad serves as Professor of Radiology and Medicine (Cardiology) at the Mount Sinai School of Medicine. He is the Director of the Translational and Molecular Imaging Institute, Director and Founder of the Eva and Morris Feld Imaging Science Laboratories and Director of Cardiovascular Imaging Research at the Mount Sinai School of Medicine and Mount Sinai Medical Center. Dr. Fayad is one of the world’s leaders in the development and use of multimodality cardiovascular imaging including, Cardiovascular Magnetic Resonance (CMR), computed tomography (CT), and positron emission tomography (PET), and molecular imaging to study cardiovascular disease. His recent focus has been on the noninvasive assessment of atherosclerosis (See Nature 2008; 451:953-957). He also has been developing novel methods for targeted drug delivery to improve the treatment of atherosclerosis. He holds 7 US and Worldwide patents in the field of imaging. He is currently the principal investigator of two federal grants funded by the National Institutes of Health’s National Heart, Lung and Blood Institute totaling over four million dollars. He is also the principal investigator of the NIH funded General Clinical Research Center Imaging Core. Dr. Fayad has authored more than 200 peer-reviewed publications, 50 book chapters, and over 400 meeting presentations. Dr. Fayad is past-deputy Editor of Magnetic Resonance in Medicine (MRM), immediate past-president of the Society of Atherosclerosis and Prevention (SAIP), fellow of the American Heart Association (AHA) where he is currently serving on the National Research Committee and on the Council on Cardiovascular Radiology and Intervention (CVRI). He is also a fellow of the American College of Cardiology (ACC), where he serves on the Cardiovascular Collaborative Imaging (CCI) Committee. He is member of the NIH’s National Lung, and Blood Institute (NHLBI) Cardiovascular Strategic Planning Working Group on Vascular Disease and Hypertension. Dr. Fayad is on the editorial boards of the Arteriosclerosis, Thrombosis and Vascular Biology (ATVB), Journal of Cardiovascular Magnetic Resonance, Nature Clinical Practice Cardiovascular Medicine (NCPCM), Atherosclerosis, and Journal of the American College of Cardiology Imaging (JACC Imaging). He participates regularly to the AHA/ACC writing groups. He serves on numerous study sections including those from NIH as well as the National Academy of Science. He is a member of the New York University Program in Computational Biology. He is also Visiting Scientist, Spanish National Center for Cardiovascular Research-CNIC (Fundacion Centro Nacional de Investigaciones Cardiovasculares). He is a past member of the board of trustees of the Society of Cardiovascular Magnetic Resonance (SCMR);and he is past member of the Scientific Program Committee of the International Society of Magnetic Resonance in Medicine (ISMRM). He is the recipient of multiple prestigious awards and recently he was the given the John Paul II Medal from Krakow, Poland as a recognition for the potential his work on humankind. As a teacher and mentor, Dr. Fayad has been also extremely successful. He has trained over 30 postdoctoral fellows, clinical fellows and students. His trainees have received major awards, fellowships, and positions in academia and industry. In 2008 he received the Outstanding Teacher Award from the ISMRM for his teaching on cardiovascular imaging and molecular imaging. In 2002 he was guest editor of the Neuroimaging Clinics on Atherosclerosis Imaging. In 2004 he co-published a comprehensive book on CMR with the publisher Martin Dunitz from the Taylor and Francis Group. In 2000, Dr. Fayad and his collaborators at Mount Sinai published the first non invasive in vivo coronary plaque images in humans and his presentations of his pioneering work received coverage in a multitude of national and international media such as the Fortune, Washington Post, USA Today, NBC Today, CBS early show, NBC News, Chicago Tribune, Washington Times, New York Magazine, El Mundo, Parade Magazine, etc. That publication was selected as American Heart Association’s top 10 research advances for the year 2000. In 2003 his paper entitled ‘Noninvasive in vivo human coronary artery lumen and wall imaging using black-blood magnetic resonance imaging’ as published in the journal CIRCULATION in August 1, 2000, has been identified by ISI to be one of the most cited papers. His current research continues to receive national and international acclaim and coverage from the scientific and general media. In 2001 he was guest Editor of Neuroimaging Clinics of North America. In 2007 he was a guest editor for a special issue of “Topics in MRI” on the subject of Atherosclerosis. In 2008 he served as a guest editor of a special issue NCPCM on Molecular Imaging and currently he is serving as guest editor for ATVB and NCPCM on special issues on cardiovascular imaging. Dr. Fayad had his trainings at the Johns Hopkins University (Nitish Thakor, Elliott McVeight, Elias Zerhouni and William Brody) and at the University of Pennsylvania (Leon Axel). From 1996 to 1997 he was junior faculty in the Department of Radiology and the University of Pennsylvania. In 1997 he joined the faculty at Mount Sinai School of Medicine. He is married to Monique P. Fayad, MBA and is the proud father of Chloe and Christophe, and after spending seven years in Manhattan now lives in Larchmont, NY.